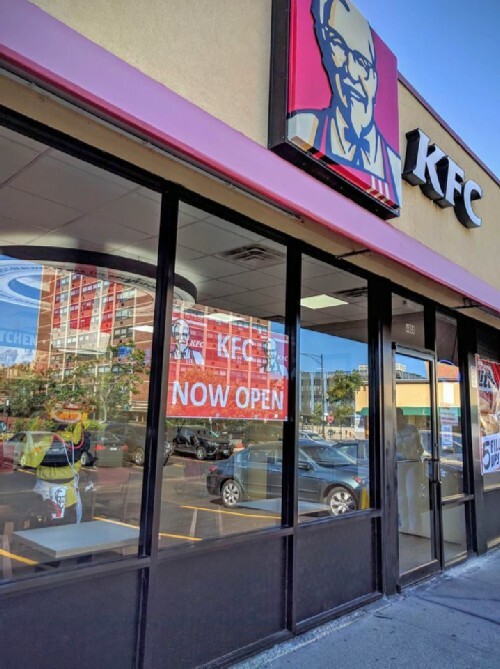 Nearly ten months after a devastating kitchen fire, both KFC and Nhu Lan bakery and sandwich shop have re-opened to customers in Weiss Plaza, located at the northwest corner of Sheridan and Lawrence. 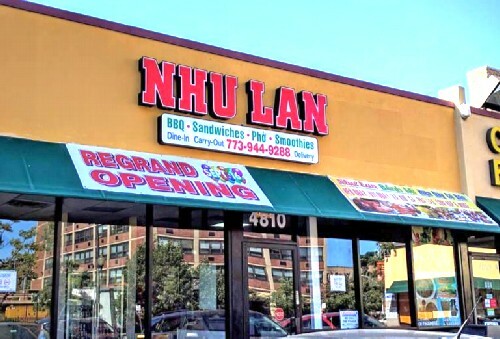 Both eateries have changed their storefront sizes, with Nhu Lan gaining room for a few more tables. 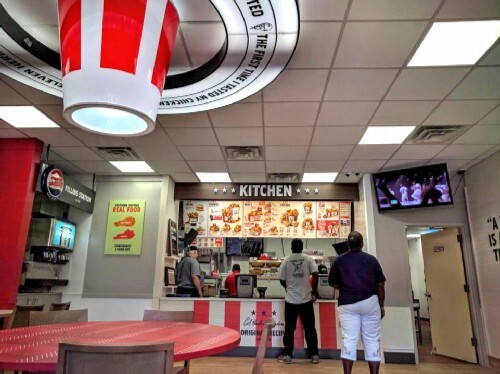 KFC has an easier-to-manage layout, smaller than it was before, but still offers a spacious dining room with all the tables in view of the front counter. 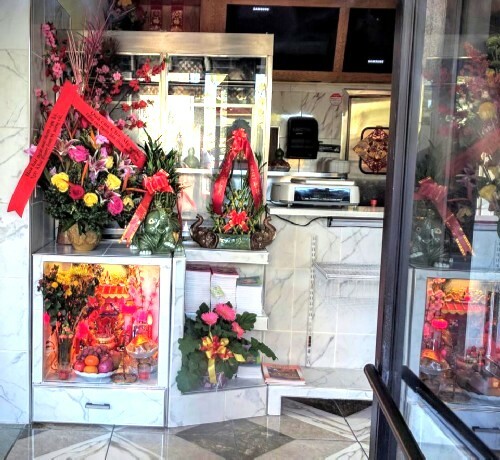 Nhu Lan held its Grand Re-Opening on Friday, September 16th and is still filled with fragrant bouquets of flowers wishing it good luck. Its hours are 8am-7pm Tuesday through Sunday (closed Mondays). You can check out its menu here; be sure to try the banh mi! 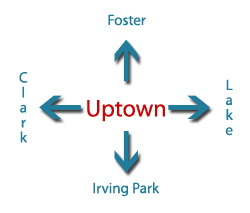 It does dine-in, carryout, and delivery, and its phone number is 773-944-9288. KFC had hoped to open in August, but red tape held it up. It opened its doors shortly after noon today and within minutes was full of customers. It's been completely remodeled inside, as you can see by the photos. 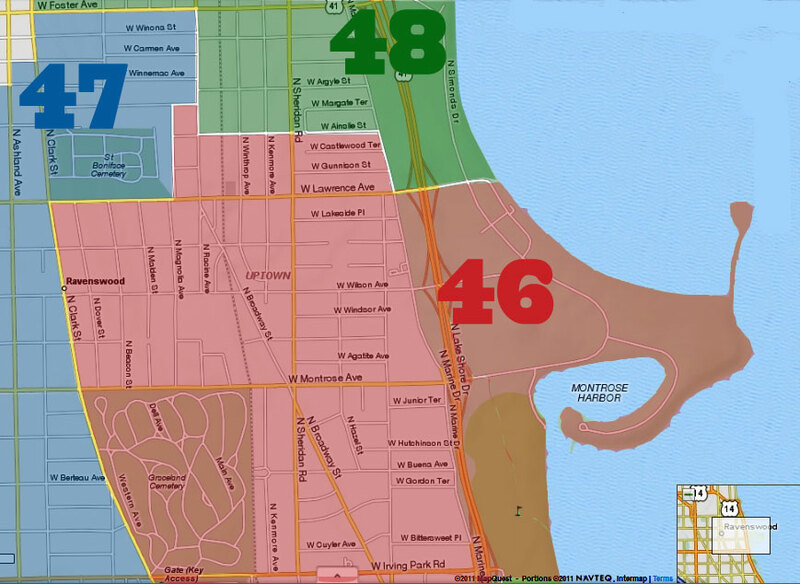 It will be open 10am-10pm seven days a week to begin, and may adjust accordingly depending on demand.